BDJ Elite Box Featuring Heroine Make! | Vanity and Everything in Between. I'm probably the last person unboxing BDJ's latest Elite Box. I also think I'm the last one who has received the box. The box was delivered to me last week but since I was out of the country, I was only able to unbox it 6 days later. When BDJ announced that they were going to release another Elite box, I got so excited because of what I saw. The anime reminded me so much of Sailor Moon. The second thing that came to my mind was those other Japanese makeup brands I usually see in Sasa. 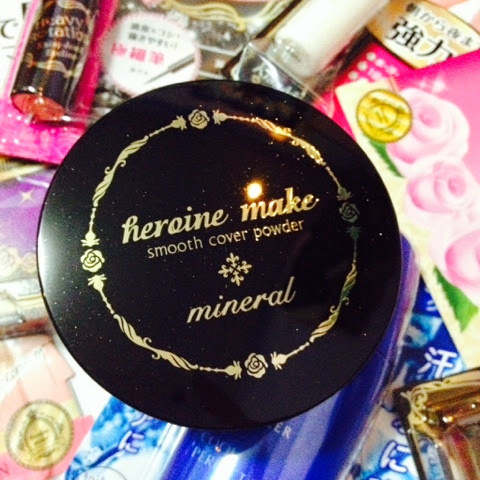 Heroine Make is a makeup line by Isehan, a Japanese company. 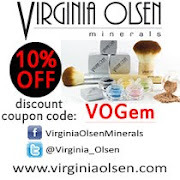 They have been in the cosmetic industry for a long time and have various makeup line. 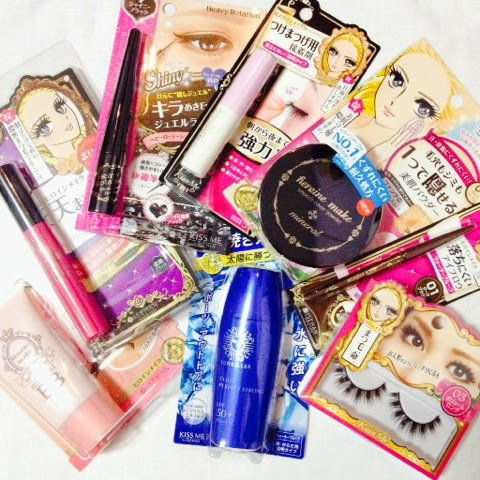 Heroine Make is one of their brands that is soon to hit the Tropical country, Philippines! So, let's all take a look at the contents of the box, shall we? Heroine Make Lasting Mineral BB Cream (30g, PhP595) - with SPF30 PA++, this long lasting mineral BB cream is designed to be gentle on skin. it contains 13 types of essence ingredients that moisturizes skin upon application, as well as a pore-evening powder to smoothen out your visible pores and to keep your oilies at bay, helping your makeup last longer. I have high hopes with this BB cream. I got the shade in #01 which I could only assume is the lightest shade among their range. 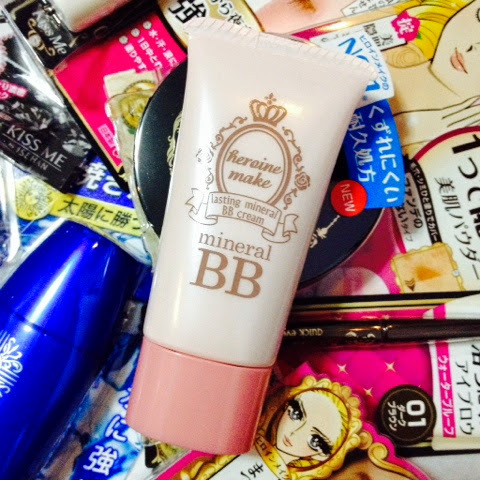 I'm excited to see how this BB cream will be different from the other BB creams I have tried. Heroine Make Volume and Curl Mascara (7.5g, PhP695) - this waterproof mascara gives a dramatically gorgeous lenghening effect for glossy lashes, free from any clumps. It is formulted with fibers to really extend your lashes to their maximum length. It also contains Chamomile extract (moisturizing ingredient) and Camellia oil (emolient ingredient) that protects sensitive lashes from damage. 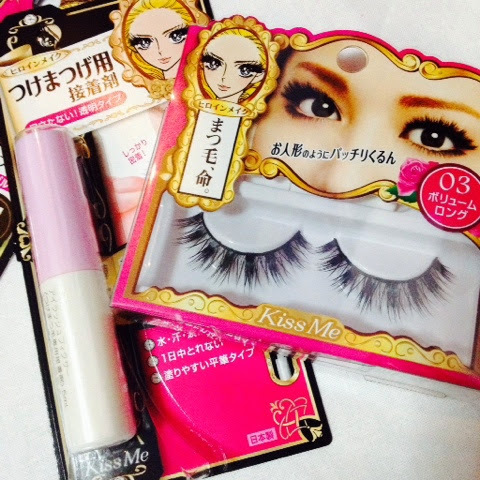 I have come to the realization that Japanese brands come up with the best eyelash mascara. At least from my experience. 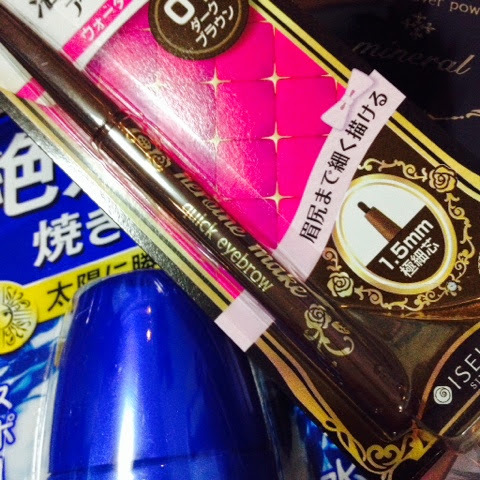 I always find myself looking for my Fairydrops Mascara and/or Majolica Majorca Mascara after using another non-Japanese brand of mascara for 3 consecutive days. True Story. I'm hoping this will be another mascara I'd always reach out for. Heavy Rotation Jewel Eyeliner (3ml, PhP595) - this eyeliner has a super thin brush so you can create precise lines around your eyes. It contains 3 kinds of shimmering powders to give a "jewel-like" glittering finish to your eyes. it is highly resistant to tears, sweat and sebum, so you won't have to worry about your eye makeup the whole day! 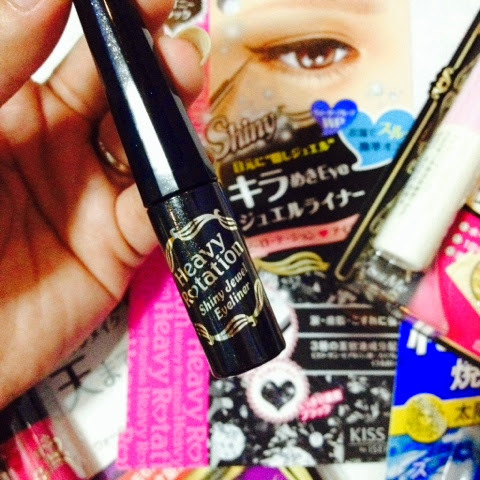 I think Heavy Rotation is another cosmetic line by Isehan. It's not Heroine Make. However, I'm quite intrigued with the claim that this is highly resistant. My lids are very hard to deal with that even the eyeliner that stays put on the lids of 9 people, well, that eyeliner fades on the 10th person which happens to be me. That said, I shall put this on a roadtest soon! It would have been better though if it didn't have glitters. I prefer a normal black eyeliner. But it's okay, I know my mom will like this as she fancies shimmering eyeliners! Heroine Make Eyelash Fixer (5ml, PhP345) - this eyelash fixer will securely adhere your false lashes from one end of the eyelid to the other. Its waterproof formula is resistant to perspiration, water, and sebum. It dries fast and becomes clear when it is dry so that lashed can be glued on beautifully with almost no glue marks even when the base of the false lashes is thin. I'd have to say this is a blessing in disguise. I ran out of Duo eyelash adhesive and I keep on buying a new adhesive. This was a good reminded that I am badly in need of an adhesive! I haven't tried a lot of eyelash adhesives and the ones I've tried are really good that's why I've been buying them for years. But let's see if Heroine Make's adhesive is just as good. Heroine Make Impact Eyelash (PhP345) - add instant drama to your eyes and enhance your overall look with these false eyelashes from Heroine Make! They help create wider, brighter eyes by making your lashes look longer and fuller. These lightweight, wispy lashes helps to naturally define your eyes without looking too made-up. I love false eyelashes. I have about 100 brand new pairs of false eyelashes. I love buying false eyelashes because they all look so good from the box. Half of the time, they look exaggerated when applied on my lids. But I found a way to make those false lashes work on my lids perfectly. So, I'm excited to use this as I already have an occasion to go to and flaunt this falsies! Heroine Make Smooth Cover Powder Clear (8g, PhP695) - go foundation-free with this powder that covers uneven skin surfaces and pores in one easy step and creates even, matte skin. It leaves skin looking smooth with light-diffusing particles, and absorbs extra sebum to help your makeup last throughout the day. Among all the products included in the Elite box, this has got to be the one that I like the most in terms of packaging! It's black and it looks sleek! It has the right amount of sweetness and sophistication in one compact. I opened this and stared at the compact powder and it seems finely milled. It gives me a vibe that this has a sheer coverage instead of a full coverage. But hey, let's see. After all, it does say "go foundation-free." Heroine Make Quick Eyebrow (0.7g, PhP345) - this waterproof, resistant to sweat and water eyebrow pencil has a superfine 1.5mm diameter tip, which allows you to draw eyebrow hairs one by one to make beautiful arches from the inner to outer ends. it comes in a convenient, twist pen so you don't need to sharpen it constantly. I'm not really a fan of eyebrow pencils cos I'm just bad at drawing my brows like that. I think that brow gels are safer and friendlier when it comes to shaping the brows. I actually take longer when I'm using brow pencils to fill in my brows. On a recent trip to Hong Kong though, I decided to bring a brow pencil with me just in case I don't have time to shape my brows at all but still badly need to fill in my brows (just to have that darker look since my brows are really light and thin). Well, lo and behold, I enjoyed shaping my brows with a brow pencil this time! so, when I saw this eyebrow pencil, I actually got excited instead of feeling sad. I hope this will be easy to use for me! Sunkiller Cool Perfect Strong (30ml, PhP445) - this silky smooth, ultra-light sunblock is highly resistant to sweat and water, making it perfect for all kinds of outdoor situations. it contains a menthol blend when gives you a cooling sensation when you apply it on your skin, perfect for those hot and humid days. It dries to a matte finish, so your skin won't look oily as the hours go by. I think this is the odd one out from this lot. A sunblock? Really? Well, there's always gotta be something that you least like, right? I'll use this on the next beach trip. I don't know why it's called Heroine Make. Had I not seen the female anime, I would have thought this is some sort of illegal drug. LOL! BDJBox is selling this box for only PhP1,480! 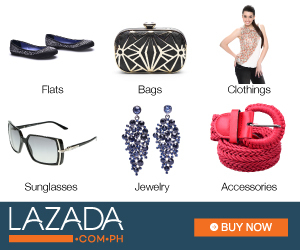 If you compute everything that is included in the box, you'd be spending PhP4,060 for all the items! The box is a total steal! Plus, this is still not currently out in the Philippine market so if you buy this box from BDJ, it's like actually getting first dibs on Heroine Make! I think they still have a few boxes left so get a box now before it's all sold out!